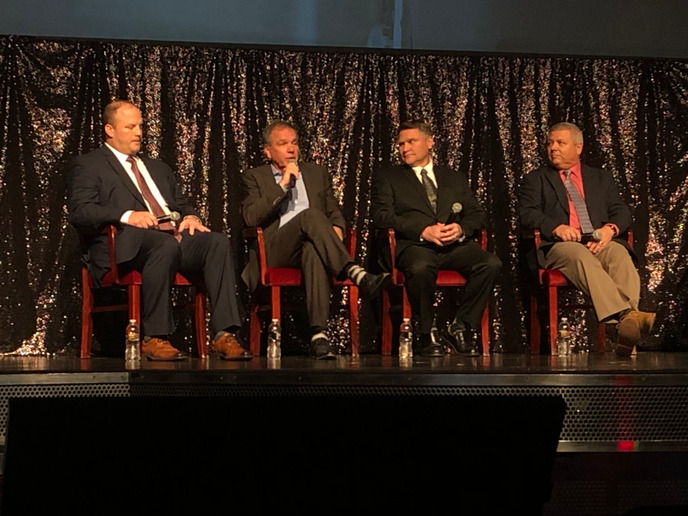 Panelists at Heavy Duty Aftermarket Dialogue talk about what keeps them up at night. Availability of those slower-moving parts is area where the supplier can help, he said, adding that parts suppliers need to have the right distribution points to ensure product availability. In these days of e-commerce, “adding value” can mean having the knowledge and expertise that fleets aren’t going to get from the typical online order. “Amazon is selling my product and I do not sell them direct,” said Walt Sherbourne, vice president, marketing at Dayton Parts. However, he said, he does not believe Amazon will replace traditional distribution, because “they do not have the expertise at the counter” that ensures the customer gets the correct part. But that won’t replace know-how. The panelists agreed that ultimately the customer determines where they will buy a part. “Amazon has found a niche in transactional sales,” Mesker said, “but sometimes [a fleet] needs consultative sales,” and that is where the distributors and dealers have the expertise.